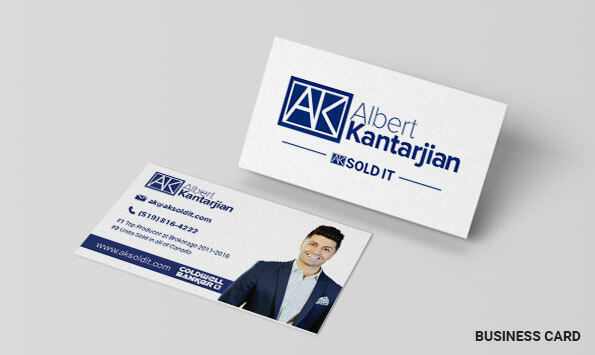 Albert Kantarjian was already an established and successful Sales Representative with Coldwell Banker Essential Realty in Windsor, Ontario before coming to Real Estate Solution. He had been a top producer for his brokerage for over five years, and was one of the top producers for Coldwell Banker in all of Canada. So why did he come to Real Estate Solution? Even with all of the success that Albert was already having, he was looking to grow even further with his online presence, and he chose Real Estate Solution to help him do just that. The first step after meeting with Albert was to identify the message he wanted to send with his new brand. We consulted with him to help identify the messages that were most import to him to present to potential clients. 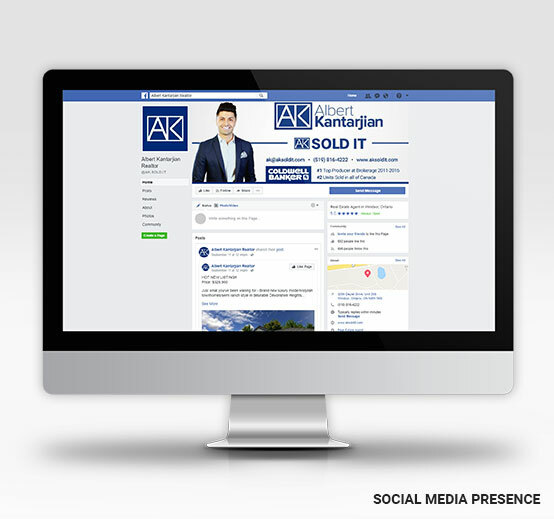 We narrowed his message down to focus on his new builds expertise and a simple but memorable tagline - “AK Sold It!” - and with that, we could market what makes his approach to real estate unique, and use that as a starting point on his website, branding, and marketing materials. After identifying Albert’s message, we moved forward with designing his logo. We consulted with him and developed multiple iterations of his new logo based on his feedback, ultimately designing a distinct new logo that reflects him and his approach to real estate. This new logo was then applied to his business cards, print materials, social media graphics, and more. We then went to work designing and developing his new Real Estate Solution website to reflect his updated brand. Albert’s custom designed and developed Real Estate Solution website includes a distinct look and feel created for him, and has custom content and sections developed specifically for him. As with all Real Estate Solution websites, Albert’s website also has automated property listings, a tailored backend system (webOS) that allows him to easily view and manage his leads as well as update his content, tools for buyers and sellers, and multiple avenues for capturing leads. Albert’s website has also had new tools implemented to it as they have become available, including Live Chat, which allows him to easily communicate in real-time with his website visitors and capture more leads. Thanks to having a scalable website, Albert can add more features down the road without needing to buy a new website or being restricted by a template. Plus, with his Support Package, we can continue to help Albert grow his website and add new content to it to make sure he's always highlighting his latest sold properties and information to new leads. We continue to work with Albert on his design and print needs, creating print ads, outdoor signs, large format billboards, and more to help him get his name out to more potential clients and generate more leads. This combines with his other branding, website, and messaging to create a clear and consistent brand for Albert that's presented to new leads. Albert is just one example of an already-established agent that we have been able to help further his brand, generate more leads, and grow his real estate business. Whether you are just starting out in real estate and looking to make a name for yourself, or are an experienced agent who is looking to grow, Real Estate Solution can help you with our branding, marketing, and website design and development services.